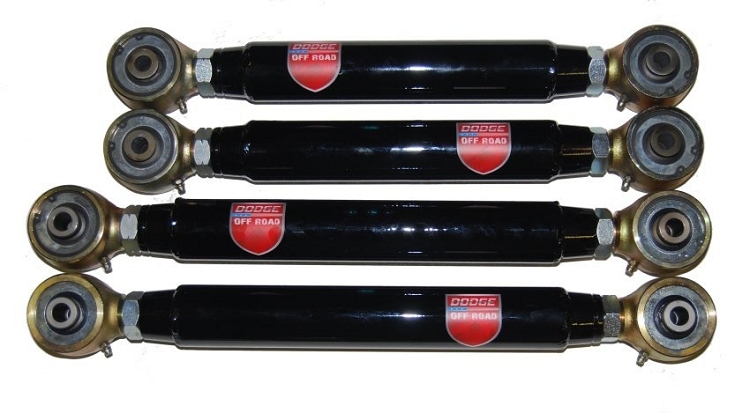 We have developed a rear control arm set for the 2014 and up Ram 2500 rear suspension. These arms are all dual adjustable, which means you can adjust the lengths right on the truck without removing the arms. They are made from 2" OD x .250" wall DOM tube and have 1.25" shank Johnny Joints at both ends, which are greaseable and rebuildable. 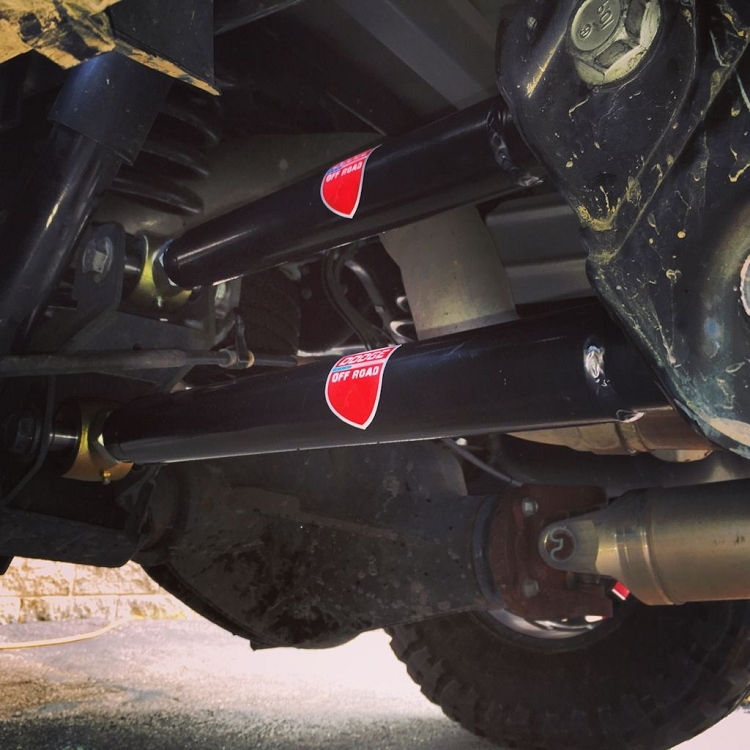 These should be the only rear control arms you ever need for your truck. 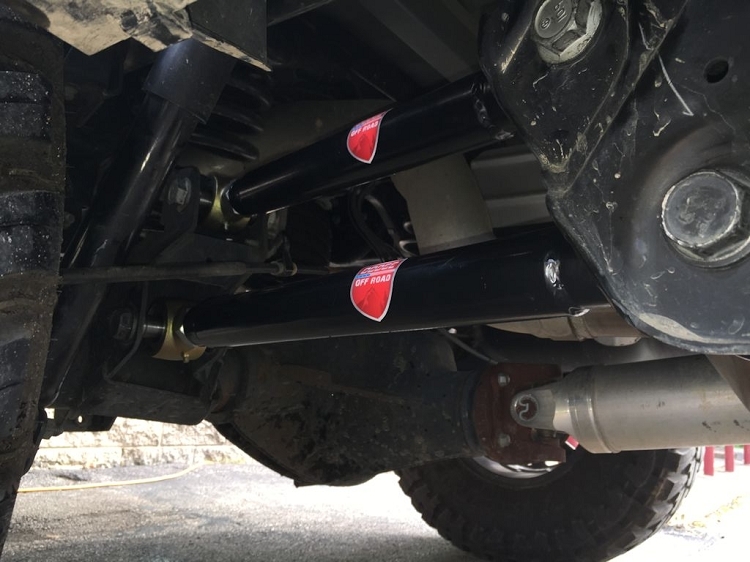 They only fit the 2014 and up Ram 2500 4x4 trucks with the 5 link rear suspension, and they work on all trucks from stock height up to 6" rear lift. 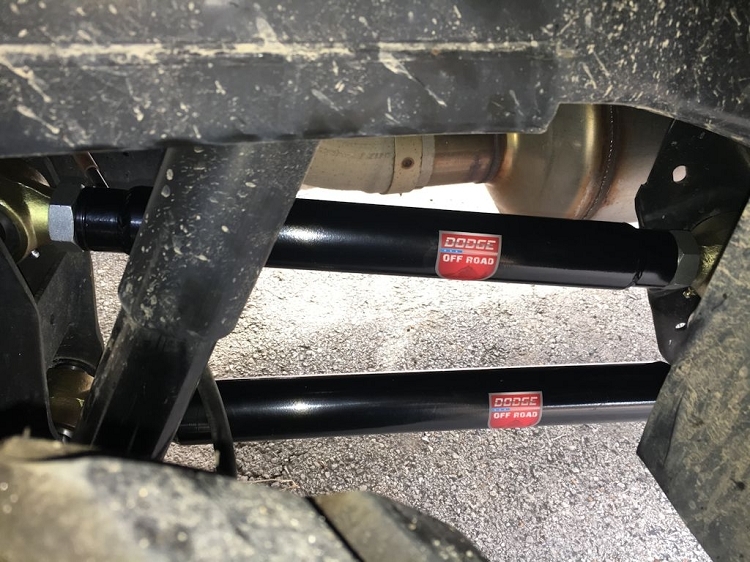 The arms will allow your suspension to move much more freely than the stock control arm bushings allow, without reducing any of the stability or towing capability of these trucks. Since the arms are adjustable, they will work on any lift height, and you can even dial in your pinion angle to reduce driveline vibration in lifted applications. If you use your truck off road at all, or if you have a lift and want to center the rear axle, these are a great option for you. 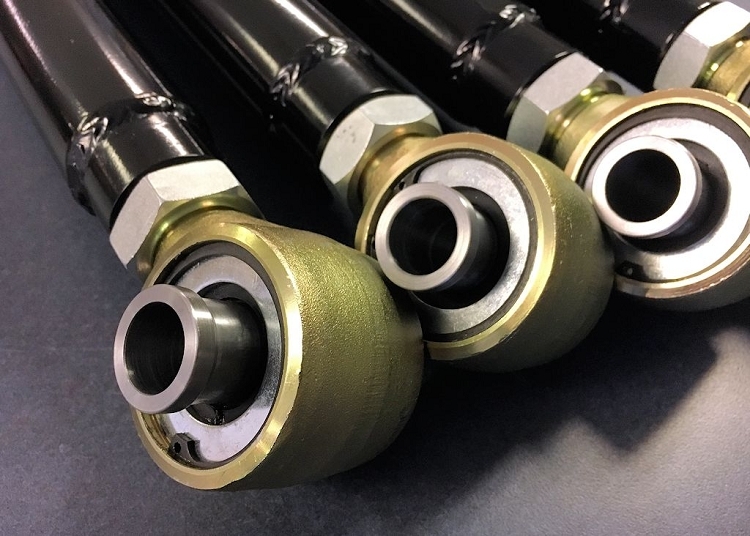 2 - Lower dual adjustable control arms, 2" OD x .250" wall 1026 DOM tube with 1018 steel tube adapters and 1.25" shank Currie Johnny Joints with our custom machined ball centers. 2 - Upper dual adjustable control arms, 2" OD x .250" wall 1026 DOM tube with 1018 steel tube adapters and 1.25" shank Currie Johnny Joints with our custom machined ball centers. 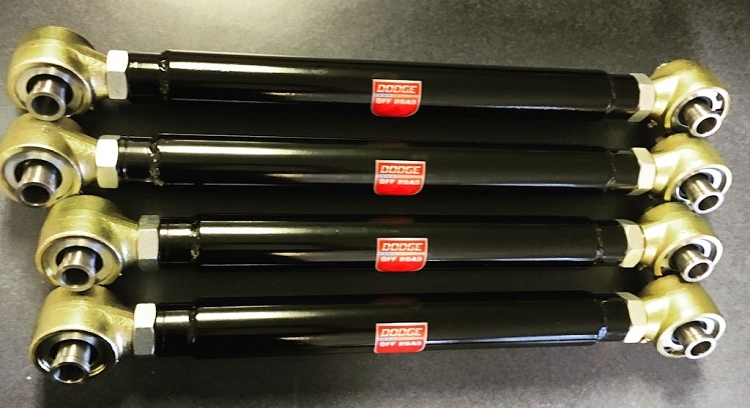 All four of the arms are powdercoated satin black. You will reuse your factory metric hardware on the upper and lower arms. There is no drilling or modification required to run these arms. Adjustments are easy, just loosen the jam nuts and twist the arms to lengthen or shorten them as needed.